Known more fondly as MEW, MyEtherWallet is a platform that provides access to Ether and a multitude of ERC20 tokens that has enjoyed popularity amongst crypto investors for some time. The web-based application provides access to the Ethereum blockchain and lets you retain your private keys, promising a more secure experience than its counterparts. In this review we have investigated this wallet’s fees, pros, cons and features in depth, and have found, however, that whilst MyEtherWallet is a reasonable service, there are better options for storing crypocurrencies, which offer higher security and better rates. One of such services is the eToro wallet. Read on for a full review of this wallet, as well as an explanation of why we would recommend other providers. ❌Unlike eToro, MyEtherWallet is not a regulated platofrm, therefore security risks still persist. How do I create an account on MyEtherWallet? How do I send and receive cryptocurrency on MyEtherWallet? To find out more and compare different wallet providers, check out our list below. If you want to learn How to buy Bitcoin and other cryptocurrencies, read this guide. ❌In our review, we have not found MyEtherWallet to be the best option for storing Ethereum, or any other cryptocurrency. The eToro wallet is a much more affordable service, which is also regulated by several financial authorities, providing a safer experience. If you still have doubts as to what the best service for storing your cryptos is, you can compare the best cryptocurrency wallets here. MyEtherWallet is a web-based Ethereum and ERC20 token wallet that lets you get direct access to the Ethereum blockchain. This open-source wallet lets users retain their private keys, adding an extra layer of security compared to other web-based wallets. It also boasts of a huge community back up, developer support, and trust. The wallet supports Ether, the native token of the Ethereum blockchain, and all other tokens created using the ERC20 protocol. The focus on one blockchain and the multitude of coins it supports has helped MyEtherWallet become a faster alternative to several multi-currency wallets. Apart from its speed and security features, the wallet also features a unique and inspiring user-interface makes it easy to send and receive tokens, swap tokens and even connect it with hardware wallets like Ledger Nano S.
What wallet type is MyEtherWallet? What cryptocurrencies does MyEtherWallet support? What fees does MyEtherWallet have? The minimum amount of GAS needed for MyEtherWallet transaction is 0.000441 Ether. How to create a MyEtherWallet account? Make sure to visit the official website https://www.myetherwallet.com. Step 4: On the next screen, you will be given the option to create a new wallet via MEW Connect, KeyStore or Mnemonic Phrase. Of these, MEW Connect is the easiest option. The other two ask for a password to be created first. Step 5: Choose MEW Connect and download MyEtherWallet companion app on your Android or iOS device. Alternatively, add a password for KeyStore or Mnemonic Phrase options. Step 6: Save your phrase/key to your PC or USB. How do I transfer coins to MyEtherWallet? Once you have logged in to MyEtherWallet, you will have to add some tokens to it. Here is the process you need to follow. You will see a tab for ‘token balances’ on the right corner. A long list of supported tokens is already available there. Simply click on the token of your choice or search using the search bar. Wait for the transaction to complete. What do I do if my token is not listed? If your token is not listed, you can still use it on MEW. Fill the following details- token symbol, contract, and decimals. Your token should now appear on the list. Go back to step 4 and add balance. Click option you would like to choose- like MetaMask, Trezor, Ledger, KeyStore, private key, etc. On the next page, check your coin balance. Log into any exchange account/wallet that you would like to send tokens from. Your tokens should receive your wallet within moments. Want a step-by-step walkthrough? The video demo below should help you to get started using this wallet. There are many searches for “is myetherwallet safe?” online, and the answer is yes and no. MyEtherWallet ensures to remind its users at all times that it is not a bank. The reminders are flashed on your screen when you create a new wallet. As Ethereum is the second most valuable blockchain in the world and MEW is a popular wallet, it’s a natural target for hackers. Unlike other wallets on the market, MEW allows you access to your private keys. The MEW Connect option is a wonderful new way for users to gain control of their cryptocurrency wallet. It comes in handy when you are creating a new wallet. MEW Connect allows you to connect your smartphone to your wallet. One will need to download the app on your Android or iOS smartphone, connect it with MEW and you are done. An extra layer of security is added for the users as their smartphone now provides them secure access to their wallets. MEW easily connects with popular hardware wallets like the Ledger Nano S and Trezor. Hardware wallets provide the highest degree of security to the users. Unlike a hot wallet, they remain disconnected from the internet and come with state-of-the-art security. One of the most interesting features of MEW is that it allows you to make transactions offline. However, this option is considered better for power users instead of newbies. The wallet also provides extensive documentation on how to make transactions offline. Unlike its counterparts, MEW allows you to save the private keys of your wallet which can either be stored on a USB drive or a paper wallet. Some people also prefer to write down the private keys on a piece of paper so that they cannot be accessed by hackers. Even after all these measures, the users must ensure that they perform due diligence when interacting with their wallet. They must ensure that the website is secure and authentic without any spelling mistakes or typos. In addition to this, they must also activate two-factor authentication using Google Authenticator. No phone numbers should ever be associated with your crypto wallet. If it is, then the user must ensure that the cell phone number is not connected to a Google account. On its website, MEW asks users to double check all the links they click and turn on ad blockers so that no Google/Bing ads interfere with the service. It also suggests users beware of ETH giveaways and similar scams online. As an additional security measure, users are advised only to unlock their wallet when they have to send a transaction. MyEtherWallet vs. other wallets – how does it compare? In order to truly explore whether this wallet is a good option in comparison to its competitors, let’s compare it to some of the most popular wallets online. 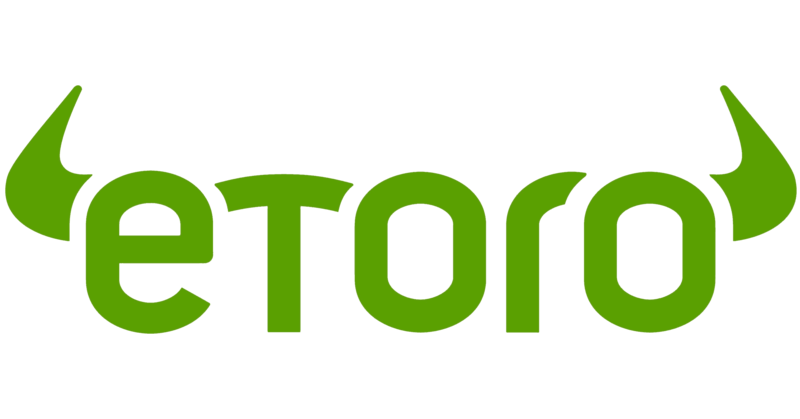 Leading social trading platform eToro extended their cryptocurrency offering in February 2017 with a brand new crypto wallet capable of storing the largest cryptocoins such as BTC, ETH, XRP and LTC. The eToro wallet, in our opinion, provides a much better experience than MyEtherWallet, and should therefore be considered. ✅You can store the major coins on this wallet such as BTC, XRP and LTC. ✅eToro is is a beginner-friendly platform which offers a dynamic social trading experience where you can share your tips on how to trade ethereum & other cryptocurrencies with other members in the community, providing a 360 experience for trading and buying coins. MetaMask is an Ethereum wallet designed to work as a browser extension. It is available for Chrome, Firefox, and Brave. The wallet can only hold Ether and ERC-20 tokens. It comes with built-in coin buying and Hierarchical Deterministic (HD) settings which lets you create an unlimited address. On the other hand, MEW can be accessed on any browser like Chrome or Firefox. It also holds only Ether and ERC-20 tokens. Both metamask and MEW are open source wallets. However, MetaMask is not a smart contract wallet, and the private keys of the user are stored right on the browser. MEW servers do not store the users’ private keys, and they can be downloaded to the computer. 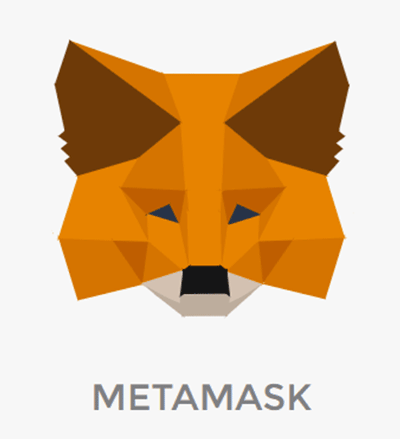 While MEW is considered a better wallet for smart contracts, MetaMask is considered an optimal way to quickly and easily connect to the Ethereum blockchain and it’s decentralized applications. Exodus and MEW have nothing in common, except for the fact that they do not store users’ private keys. 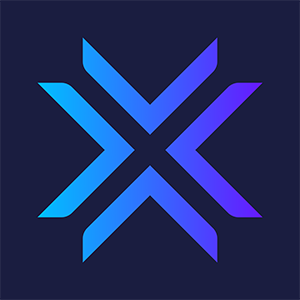 Exodus is a desktop app that supports both Bitcoin and altcoins. It comes with a beautiful design and is renowned for its highly interactive interface. However, Exodus cannot connect to Ethereum smart contracts. It can only be used for sending or receiving Ether. The wallet is not 100% open source but uses some open source components. The wallet does not have any e browser or smartphone app version. Moreover, it does not support the Ethereum Classic. The wallet stores the users’ private keys on the local computer. MEW is 100% open source and can be used on both desktop browsers and smartphone applications. It lets you get access to smart contracts apart from sending and receiving Ether and ERC-20 tokens. MEW does not have a desktop app. Jaxx is one of the most liked cryptocurrency wallets. It also boasts of an easy to use and highly intuitive interface and supports numerous altcoins. However, just like Exodus, Jaxx is not a smart contract wallet which means that you will only be able to send and receive Ether using the wallet. However, it supports both Ethereum and Ethereum Classic. The private keys are not shared with wallets’ servers and stored on the user’s machine instead. Jaxx is not an open source wallet. However, it’s code is available on its website. MEW provides support only to Ethereum-based cryptocurrencies. It supports smart contracts and is 100% open source which means that its code can be assessed by the community. 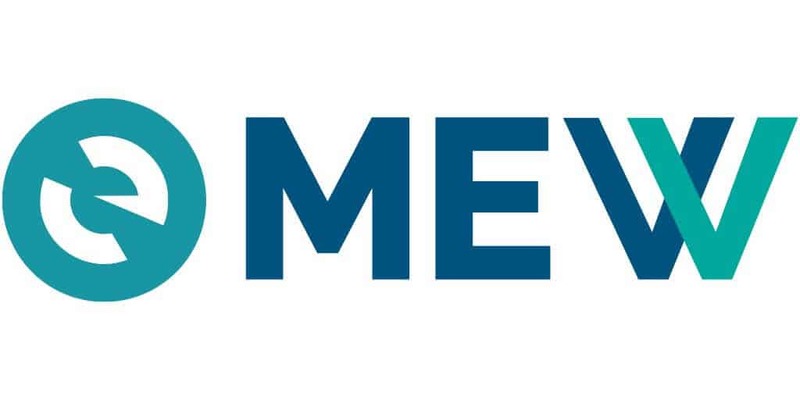 MEW Connect is the official smartphone application of MyEtherWallet. It works as a companion app to the wallet and is free to use. Using MEW connect users can create a new wallet and keep up their Holdings completely secure. The app is available on both iOS and Android. Just like the web-based wallet comma the application does not depend on centralized service and creates no databases. It talks to the web-based application via p2p communication. It is a secure free and open source. How much GAS does MEW charge? MEW allows users to send ethereum or ERC 20 tokens free of charge. However as the transactions are sent on the ethereum blockchain, users have to pay GAS. This fee is paid in ether and users must have at least 0.01 ETH to make at least two to three transactions. What should I do before moving a large amount of ether? The wallet suggests that users send a test transaction of a small amount to the destination wallet before making a large transaction. This will help in ensuring that the funds reach the right address. It also recommends users to utilize MetaMask or EtherAddressLookup to double-check transactions. They can also use hardware wallets like Ledger Nano S and Trezor to make fund movement even more secure. How do I send Ether using MyEtherWallet? To send a transaction a user must go to the ‘send Ether and tokens’ page. Next click on ‘access your wallet and unlock’ it. Next enter the destination address, the amount you want to send and click on ‘generate a transaction.’ Next click on ‘send transaction.’ A popup will appear. Double check the transaction and click on “Yes, I am sure! Make the transaction.” Your transaction ID will be generated, and it will soon be added to the ethereum blockchain. I lost my private key. What do I do? MyEtherWallet does not store the private key of the users. It is only an interface that allows users to connect to the Ethereum blockchain and has access only to public information available on the blockchain. The private key always remains with the users which means that if the key is lost, the MEW will not be able to recover it. It also means that the user will not be able to reset their password, reverse or cancel transactions. The wallet will also not be able to send Ether or other tokens from one address to another. What is the difference between MEW and an exchange? MEW is a client-side interface that allows users to interact with the Ethereum blockchain. It is not a centralized entity that stores the private keys of the users for them, like an exchange. Instead, it lets users retain full control of their keys. Exchanges provide people a chance to buy and sell digital currencies. MEW provides similar functions via its Changelly integrations and swaps but remains a dedicated ETH and ERC-20 wallet. MyEtherWallet can be connected to browser extension wallets like MetaMask and hardware wallets like Trezor and Ledger Nano S with ease. 3 What wallet type is MyEtherWallet? 4 What cryptocurrencies does MyEtherWallet support? 5 What fees does MyEtherWallet have? 6 How to create a MyEtherWallet account? 7 How do I transfer coins to MyEtherWallet? 7.1 What do I do if my token is not listed? 8 How do I send and receive cryptocurrency on MyEtherWallet? 9 How safe is MyEtherWallet? 11 MyEtherWallet vs. other wallets – how does it compare?